Thank you Ann for the sharing your comments! We are happy we could provide you with a save non-toxic cleaning solution. Here is a testimony from Simona who used Enviro-One for her children for head lice. “This Soap is absolutely amazing! Our kids came home from school with lice one time and we tried all kinds and many different solutions over-the-counter to get rid of them. Nothing worked. We decided to give this soap a try, and we were absolutely amazed, I got rid of the lice. We love it that the soap is natural, safe for kids and not full of chemicals like most other products. We have also used it for stain removal and laundry, it works really well. FDA: Antibacterial Soap could be bad for your health. If you are using antibacterial soap to wash your hands, you need to read this article. The Food and Drug Administration proposed a new rule today that would require manufacturers behind products like Cetaphil, Dial, and Softsoap to prove that antibacterial soaps are safe for long-term daily use, and that they more effectively prevent illness and the spread of infection than their non-antibacterial counterparts. Because right now, they probably don’t. Although consumers generally view [antibacterial] products as effective tools to help prevent the spread of germs, there is currently no evidence that they are any more effective at preventing illness than washing with plain soap and water. Further, some data suggest that long-term exposure to certain active ingredients used in antibacterial products – for example, triclosan (liquid soaps) and triclocarban (bar soaps) – could pose health risks, such as bacterial resistance or hormonal effects. Under the new rule, soap makers would have to provide clinical studies and other proof to the FDA showing the preventative-health advantages of antibacterial soap in order to keep marketing the products. The FDA notes in their statement that alcohol-based hand sanitizers remain a good alternative to soap and water. The FDA is inviting “consumers, clinicians, environmental groups, scientists, industry representatives and others” to weigh in on the rule during a comment period, which will last for more than 180 day. The rule should be finalized by 2016. What’s causing your allergies? Most people respond, “It’s that time of the year.” While allergies can be triggered by pollen, you might be suppressed to learn that allergies are triggered by a compromised immune system caused by the food we eat, personal care products and cleaning products. If you think you know what’s causing your allergies, let us know. Glass Cleaner are Toxic… Did you know? Did you know that most glass cleaners on the market uses toxic ingredients that can be harmful to your health. Check out your bottle of glass cleaner to see if it contains any of the following ingredients. 2-Hexoxyethanol: May cause CNS depression and kidney injury; [HSDB] A severe skin, eye, and respiratory tract irritant; “The substance may have effects on the blood.” [ICSC] An irritant; May be absorbed through skin; [MSDSonline]. Ammonium Hydroxide: Can cause injury to the skin, eyes, and respiratory tract. Propylene Glycol: Causes CNS depression. A mucous membrane and severe eye irritant. 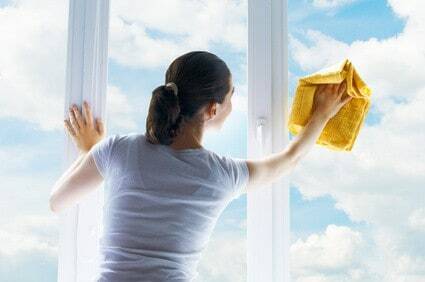 If your glass cleaner contains these or other toxic ingredients, it is recommended that you switch to a cleaner containing only natural ingredients. This clip details some of the concerns with bisphenol-A (BPA), found in many common household items like canned foods and plastics. Please take a moment to watch and share this video — help your friends and family avoid toxic chemicals like BPA that are linked to breast cancer. This truly is the best infographics showing the link between toxic chemicals, our health and the environment. Spread the word… “like/share” this with your friends! Perhaps the most misunderstood condition currently plaguing us, Fibromyalgia is the devastating syndrome of the musculoskeletal region that affects 1 out of every 75 people. The condition can produce an array of lasting symptoms that includes widespread pain, joint tenderness, sensitivity to heat and cold, stiffness, tingles and numbness, IBS, insomnia and restless leg syndrome, anxiety and depression. These symptoms often come and go without warning with a severity that can render the sufferer incapacitated. There is no one official cause of Fibromyalgia; however, studies have pinpointed a few risk factors that encourage the presence of its symptoms.  Hereditary: It has been determined that a person is at greater risk for getting fibromyalgia if his or her parents or grandparents suffer from the same syndrome.  Preexisting Autoimmune Disorder: A large percentage of Fibro sufferers also suffer from an autoimmune disorder, because of that fact, fibromyalgia is often classes as a group of multi-symptoms brought on by that preexisting condition. 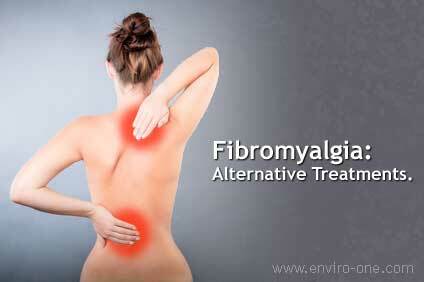 Fibromyalgia has been linked to hypothyroidism, diabetes, sjogen syndrome and rheumatoid arthritis.  Chemical Exposure: Toxins have been called out as being a cause of fibromyalgia, especially chemicals that include pesticides, asbestos, BPA, VOCs and household cleaners. These toxins enter the bloodstream and cause mutation by disrupting the endocrine system.  Acidic Buildup: When the body is acidic, disease and disorders thrive and multiply. Acidity can grow from consuming an overabundance of processed foods as well as from smoking, drinking and lack of mobility. Conventional healthcare treats the symptoms of fibromyalgia with a series of medications to help manage pain, tiredness, depression and IBS, however, in the world of alternative health, Fibromyalgia is treated holistically. Alternative therapy uses the body, mind and spirit to invite balance and restoration.  Acupuncture: Acupuncture treatments have been proven to sooth and eradicate symptoms of Fibromyalgia. The insertion of needles, releases neurotransmitters within the body and balances the chemistry of the brain.  Nutrition and Detox: You are what you eat! Consuming processed un-foods encourages acidity, so it’s safe to say that eating real food will encourage alkalinity. Adopting a diet rich in fresh fruits, vegetables, grains and nuts will strengthen your immunity against fibromyalgia and regular detoxing will help remove the acidic buildup.  Meditation and Relaxation: Meditation and relaxation can help with symptoms of anxiety and depression. Once the mind is free from worry and stress, the body will be free from symptoms and disease. Soap and Water: Your first defense. One of the oldest remedies for preventing sickness in children is teaching them how to properly wash their hands with pure soap and water. This simple solution with help keep their immune system strong so that it can fight disease-producing organisms such as bacteria, viruses, fungi, and parasites. Your child can easily be exposed to pathogens when they get around other children in that are sick in places like daycare, park, or even touching a shopping cart. A child’s body produces its own antibodies to build the immune system and keeping the immune system strong can help fight of sickness when exposed. So teach your child how to properly wash his or her hands with soap and water. It is also good to keep them in a non-toxic environment. 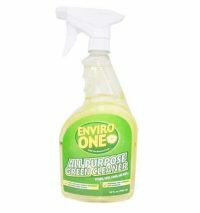 If you are not already using a non-toxic soap for washing hands and cleaning your house and daycare, you may want to get a bottle of Enviro-One Green Cleaner. We always cary around a two oz spray bottle so we can spray and wipe surfaces that our children come into contact that can have pathogens. One of the biggest responsibilities that come with living a greener lifestyle is inspiring others to follow suit. One person alone cannot clean up the world; however, one person can inspire the movement that does. When it comes to inspiring positive change it has to start in your own household and it should include your kids. 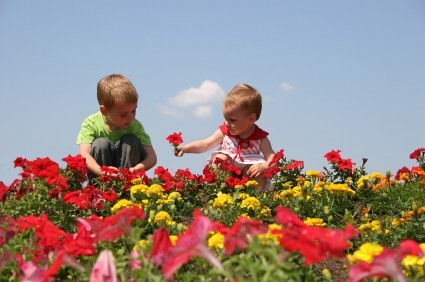 Children are the future stewards of the environment, so it is important to teach them the values of the eco-system so they will grow up with a natural affinity to protect and preserve it. Make Recycling Fun: First you must educate your children on the importance of recycling, let them know that by donating instead of trashing, they are helping to keep the environment clean and they are lessening the demand for virgin materials. You can make recycling fun by rewarding their efforts; by giving them kudos for a job well done, you will inspire them to do more. Buy them Green Playthings: Teach your kids the value of handmade and sustainable playthings, purchase dolls made from recycled plastic and refurbished woods and petroleum free crayons and markers. Garden with your Kids: Gardening with your children is a fun way to inspire sustainability; they would love the act of playing in dirt and watching the fruits of their labor grow. Introduce them to Nature: Children are born with a natural love for nature, nurture that love by visiting parks often and taking them on nature walks, bird watching, camping trips and star gazing. Buy all natural Everything: There are greener alternatives to almost everything you and your kids use in the home, buy all natural wherever it is possible so your kids grow up using them. You can find natural soaps, cleaners, laundry detergent, trash bags, toilet paper and a whole lot more. Play Green: There are a lot of resources available in the form of video games, movies and books that are catered to teaching sustainability to young kids, they are both fun and educational so you kids will enjoy while they learn. Volunteer with your Kids: Volunteering your time at kid friendly places such as animal shelters, museums and parks will teach your kids the importance of selflessness in a fun and exciting way. The future of the environment is dependent upon today’s children. In order to secure a world that is clean, healthy and happy we have to teach our kids how to take care of it. The form of cancer that attacks the cells of the breast is known as breast cancer. Statistics show that an approximate 1 out of every 8 women in the U.S will develop some form of breast cancer in their lifetime. Such a frightening statistic has caused scientists and women to search for causes and preventions before it becomes too late. While there is no one single cause of breast cancer for this decease can develop as a symptom of many different things, there are things that increase the risk of growth. Family History: Women with a family history of breast cancer are at higher risk of developing the decease than women without a history. This doesn’t mean that you will certainly develop it; it just means that it is more likely that you would and precautions need to be exercised. Diet: You are what you eat! The diet you adopt will determine the state of your health. Cancer thrives in acidic and toxic environments, eating foods rich in chemicals, sugars and sodium will encourage the presence of acidity and can prompt cancer to attack the breasts. Environment: The environment you live in can also cause cancer cells to grow. If you live in a household where people smoke and use an excess of chemically enhanced products to clean and to style with, then you are inviting toxins into your body to wreak havoc. Birth Control: Women who use birth control pills regularly are at greater risk for developing breast cancer than those who do not. Stress: Stress can kill, there are no truer words. Stress can start of as a mental state of hopelessness and depression that turns into physical disorders. Stress can cause minor symptoms such as headaches and fatigue as well as major disorders like acidity and cancer. As common as breast cancer is, it is preventable and reversible. It is up to you to determine your family history and your risks and work on implement changes in your lifestyle to help discourage the growth of this decease. Please share your cancer prevention tips. The state of your metabolism plays a vital part in how you look and feel on a daily basis, controlled by endocrine and the nervous system, the individual integrity of your metabolism (that is how fast or how slow it is) is usually determined by age, health and genetics, however, the environment that you live in and the diets you adopt also plays a large part. Altering our food into vital energy and assisting in the body’s development and function are just two of the major jobs that the metabolism takes on. In order to achieve optimal health and wellness with a healthy surplus of energy you should strive to have a fast metabolism, below are 5 natural ways to achieve that.  Exercise More: One of the easiest ways to give your sluggish metabolism a jumpstart is to exercise. Movement stimulates the organs and glands within which kicks the metabolism into overdrive. You will be breathing deeper, sweeting more and encouraging blood flow which is all good for your metabolism.  Eat Less Sugar and Processed Foods: Processed sugars and chemically soaked un-foods are known energy suckers. These foods force your organs to work harder to digest and excrete which causes acidic buildup and a slow metabolism. To satisfy your sweet tooth, you can try all natural alternatives such as candies and treats made with raw honey, carob or stevia and zero synthetics.  Ditch the Chemicals: Chemicals come in all shapes and sizes; in cigarettes, pesticides, cleaners, air fresheners and in gasoline. When inhaled, these harsh chemicals disturb the natural balance of our hormones which can cause disorders associated with a slow metabolism. And while you cannot avoid chemicals 100 percent, you can lessen your exposure to them by using natural products whenever you can.  Detox Regularly: Detoxing is beneficial at ridding the body of acidic toxins accumulated from foods and chemicals. There are many forms of detoxing; some versions refer to juicing while others incorporate teas, fiber and probiotics.  Eat More Fruits and Vegetables: Eating an abundance of fresh fruit and vegetables can enhance your metabolism and increase your overall health. You can juice them, eat more salads or just munch them raw. 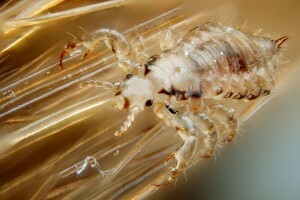 Head lice: Did you Know…? Did you know an estimated 6 to 12 million head lice infestations occur each year in the United States among children 3 to 11 years of age. What’s even worse, people use the store brand products, which are pesticides, to deal with the problem. Don’t poison your children in the process. 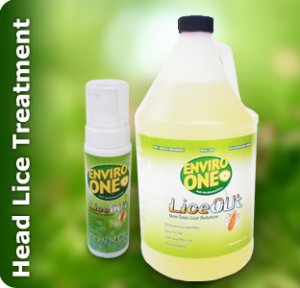 Use LiceOUT, an all natural, plant based lice treatment. Visit www.enviro-one.com for more information.